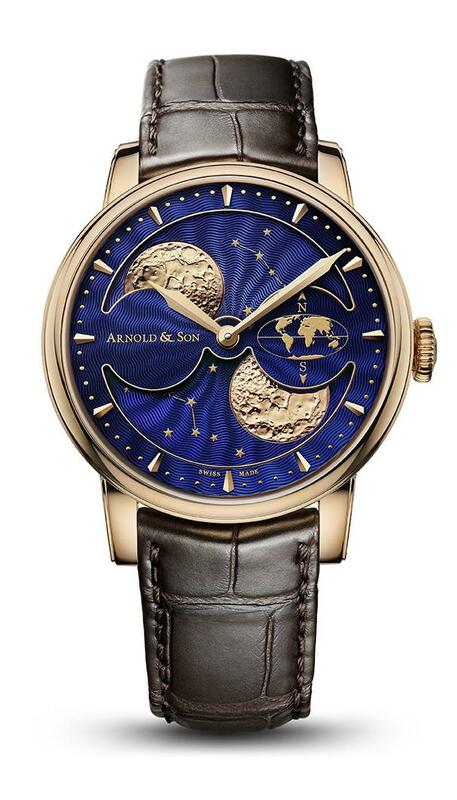 The new model has a lot in common with its predecessor Arnold & Son HM Perpetual Moon which we reviewed previously on Horobox. 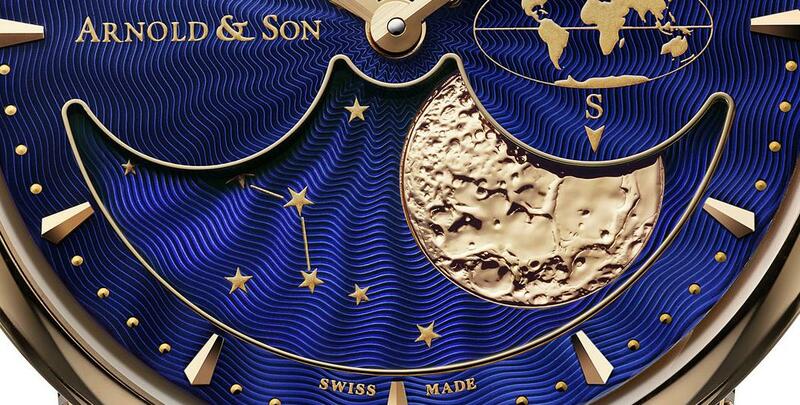 Undoubtedly, the most significant upgrade on the new timepiece is the double moon phase indicators. The moon indicators display the Southern Hemisphere and Northern Hemisphere. They are located at 6 and 12 o’clock positions. 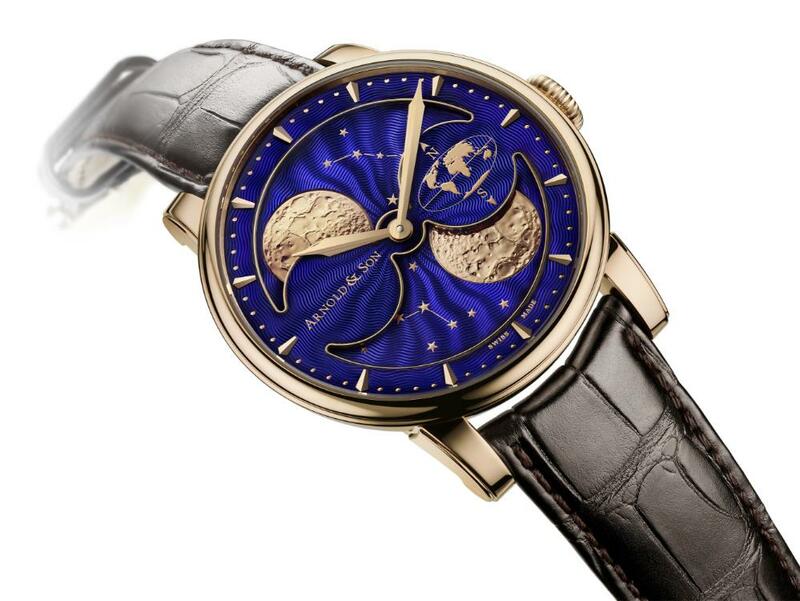 The moon phase indicators are read effortlessly when compared to the standard single moon phase indicator watches. The world figures’ craftsmanship and quality is both superior. The world map located at 3 o’clock position is divided in to half with the equator line. 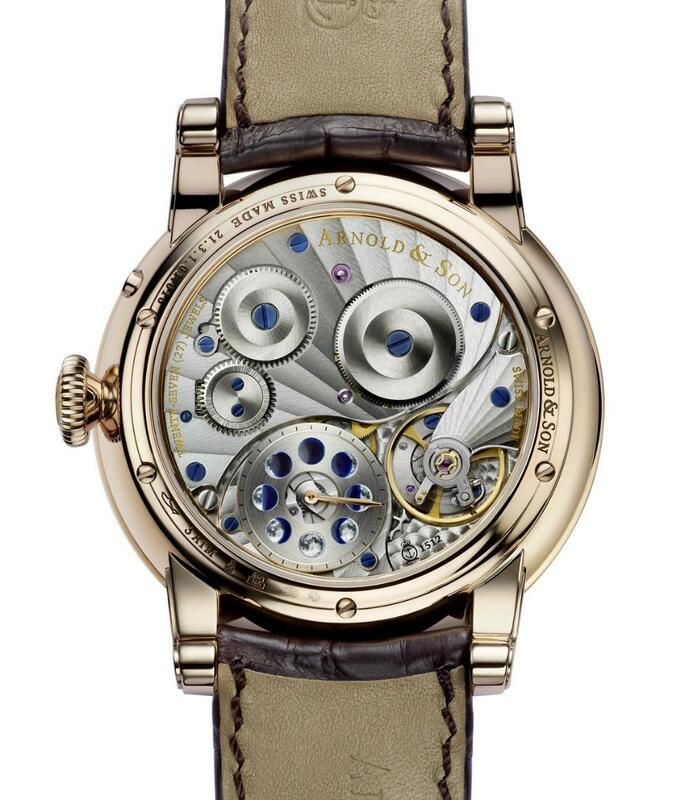 The 42mm case is made of 18K rose gold featuring a pair of sapphire crystals for both sides. 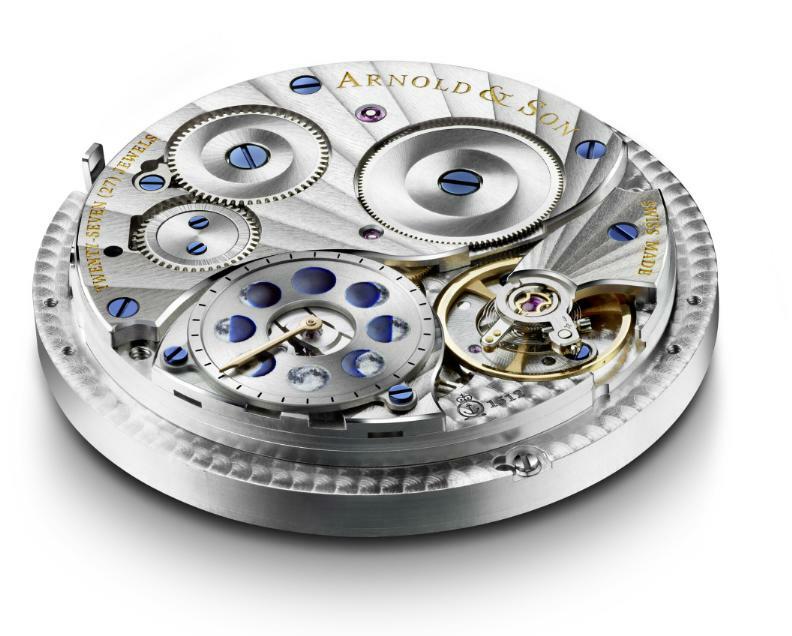 The front sapphire is double AR coated making the readability of the watch perfect in almost any occasion. 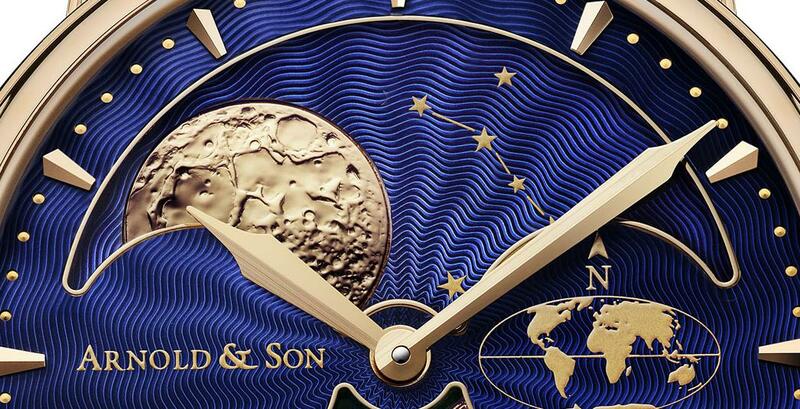 The dial features a deep blue color accompanied with the famous Guilloche pattern. 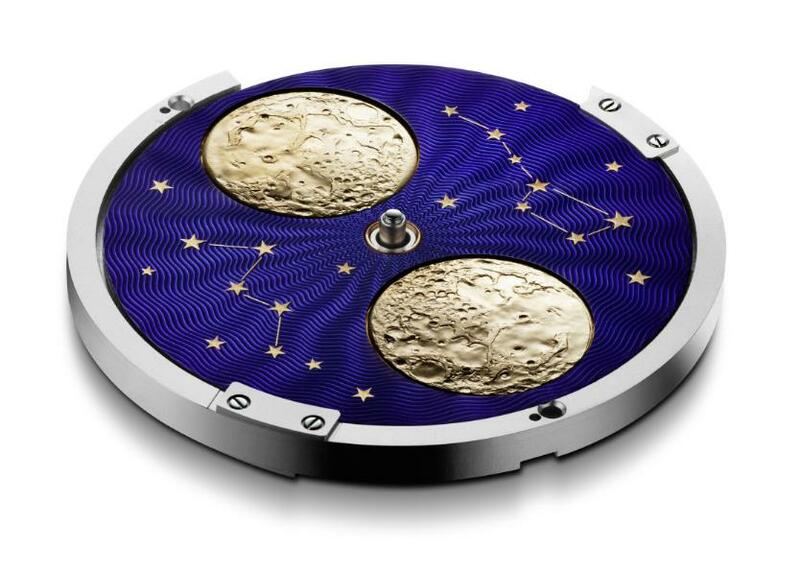 There is a lot to tell about this stunning timepiece and we would like get back to you with brief information and exclusive photos from the brand’s booth at Baselworld 2016 exhibition.